Quick now, can you name a famous African sculptor from the 1800s or even the early 20th century? Anyone able to answer positively is part of a select minority – most museum-goers have become used to seeing traditional African carvings without knowing the name of the artist. But some experts are taking steps to change this, with the most extensive exhibition devoted to identifying Africa’s expert sculptors now on in Paris at the Quai Branly Museum – a venue devoted to the indigenous art of Africa, Asia, Oceania and the Americas that is sometimes criticised for having “colonial undertones”. The exhibition, titled ‘Masters of Sculpture from Ivory Coast’, features nearly 330 historical and contemporary works and artefacts, and runs until Jul. 26. It comes at a time when the market for traditional African art is at its highest in decades, with pieces fetching record prices, amid debate about whether these objects should be “returned” to Africa. The show pays tribute to the remarkable artistry of the sculptors, who were often given the title of “master” in their homeland; and the timeless splendour of some of the objects will help to explain the current collecting craze. But the exhibition may also add fuel to the discussion about who should own works that reflect a region’s cultural heritage. “Art really has no fatherland,” says the exhibition’s co-curator Eberhard Fischer, an ethnologist and Director Emeritus of the Rietberg Museum in Zurich, Switzerland. In the notes to the exhibition, Fischer and co-curator Lorenz Homburger state that “African sculpture has a central place in the history of art”, and they indicate that the identification of traditional artists contributes to the recognition of this role. “Too often considered in the West as an artisanal production only involved in ritual activities, African art – just like Western art – is produced by individual artists whose works display great artistic and personal skill,” the curators stress. The Ivory Coast (Cote d’Ivoire) was one of the most important regions for African art production, and the exhibition “invites” visitors to discover the different “masters” of the various ethnic groups – artists who were held in “high esteem” by their communities. Some sculptors are designated only by their region, but many others do have names that are now becoming known. Sra was renowned for his female figures, and visitors can admire these objects as well as his striking mother-and-child depictions. One of his contemporaries, Uopié, came from a different area but was also part of the Dan culture – in north-western Ivory Coast – and produced “bewitchingly beautiful” smiling masks, of the kind known as déanglé. Then there is Tame (circa 1900 to 1965), a “handsome young man, a successful wrestler and the lover of many women.” He was the nephew of Uopié, who taught him to carve. 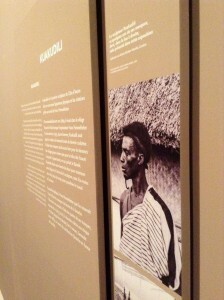 While there is no picture to allow visitors to judge Tame’s purported good looks for themselves, the exhibition does provide a photo of Kuakudili, the first Ivory Coast artist to have his “own face” in the show. A picture of this sculptor is available thanks to Hans Himmelheber, a German anthropologist, art collector and Fischer’s step-father, who met the artist in 1933. 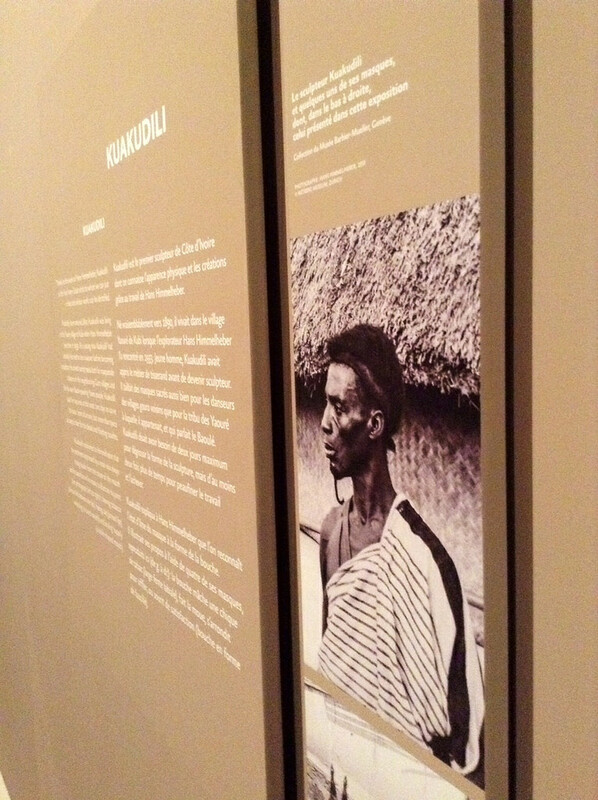 The photo shows Kuakudili as a thin, serious man. He carved sacred masks both for masquerade dancers in neighbouring villages as well as for his own people, and in his work, visitors can see the forms that inspired Western artists such as Picasso, Braque and other adherents of Cubism. 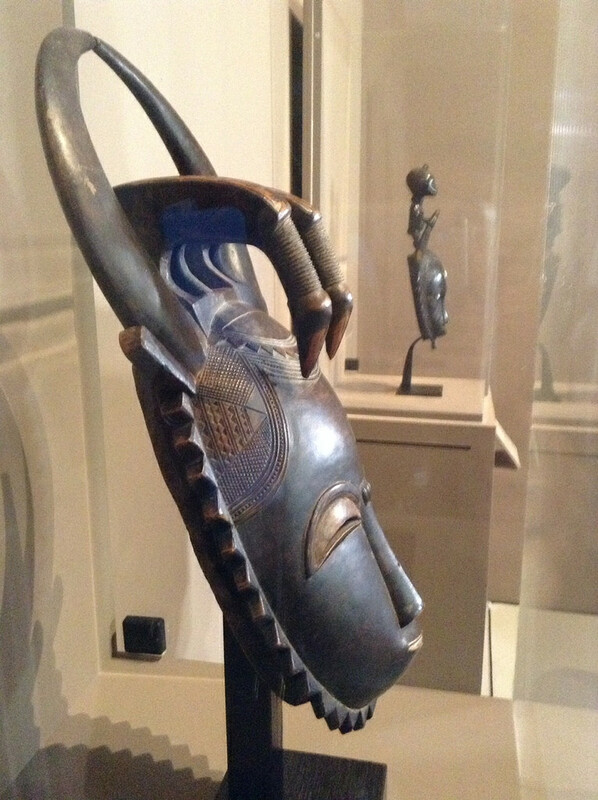 Away from the exhibition, masks such as these and other objects from “African masters” are currently in great demand on the international art market, especially in Paris, New York and Brussels. Jean Fritts, director for African and Oceanic Art at the Sotheby’s auction house, says that the median price for African art has doubled over the past decade. It is also related to some of the first collectors dying, and their heirs selling the objects, dealers have said. Many pieces have come from former colonialists in Belgium, for instance, and museums as well as private collectors are snapping up the objects that they believe were acquired by “honest” means. Fritts said that 25 percent of the art on the market is being bought by collectors in the Middle East, with some of the works destined for the Louvre Abu Dhabi as well as the National Museum of Qatar, set to open in 2016. In Africa, businesspeople such as Congolese entrepreneur Sindika Dokolo have also been buying on the market, with the aim of bringing some of Africa’s art back home. Dokolo had a representative at a recent Sotheby’s auction in Paris, where a coveted mask fetched 3.5 million euros (it went to another bidder). Regarding the identity of the artists, Fritts and other dealers acknowledged that there is an “issue” because historically there has not been “much data collected about the carver”. Given that provenance and exhibition history are important for art collectors (along with artistic quality and “rarity”), the Quai Branly show may help to add value to objects identified as being carved by a particular “master”. Fischer, the curator, sees no problem with that. He sees the exhibition as the first step for these artists to have a place in prestigious museums such as the Louvre in Paris. Perhaps one day, Sra will be as internationally known as Picasso.